Cranberry sauce is something that should always be homemade. It tastes worlds better than canned cranberry sauce! We swapped out the sugar for maple syrup for extra yum. This past week has been a whirlwind. In a good way since it means we’ve had plenty of freelance work coming in, which is great for paying the bills. But I missed my little space here too. This week we are back in the saddle and have a ton of amazing Thanksgiving food coming your way! Including cranberry sauce. 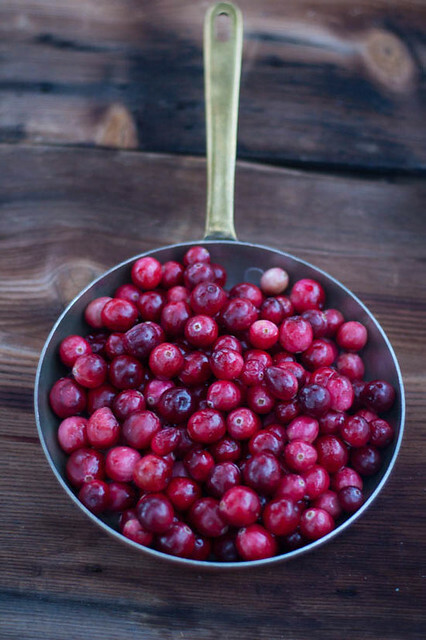 Have you ever had homemade cranberry sauce? Oh. my. gosh. It’s crazy good. I don’t normally eat cranberry sauce at Thanksgiving honestly. It’s just kind of a weird gelatinous mass in a bowl in my mind. But homemade? It’s a whole new world (cue Disney song). My taste buds want to sing they are so happy with this. Holy goodness. Why isn’t this on every Thanksgiving table? It literally will take you 10 minutes of ignoring it on your stove to make this. Promise me you will not let another year go by without trying this? I may or may not be stockpiling fresh cranberries in my freezer this year and hoarding this sauce all to myself at the table. Where’s the maple syrup you ask? Well, we are big advocates of eliminating processed sugars when possible. I just got so excited about this that I made it and photographed it with brown sugar since that was how we started making it. I had a duh moment and realized this later. This recipe is even more bomb diggity with real maple syrup instead of the brown sugar so if you’ve got it, use it. Your health (and your taste buds) will thank me. p.s. only use real maple syrup. none of that corn syrup garbage. Cranberry sauce is something that should always be homemade. It tastes worlds different than canned cranberry sauce! We swapped out the sugar for maple syrup to make it real food friendly as well! Bring to a boil and then reduce heat to medium for 8-10 minutes until most of the cranberries have begun to pop and a sauce consistency is reached. Sauce will thicken as it stands as well. Remove from heat and add lemon or orange juice. Serve warm or room temperature (cold it is a bit grainy). Looking for more great recipes? Cranberry White Chocolate Macadamia Hot Cross Buns, Cranberry Almond Clafoutis, Maple Cranberry Pecan Pie. Update: Winner of $50 gift card giveaway has been notified! Cranberry sauce is my favorite part of Thanksgiving. Homemade cranberry sauce is the only way to go! The canned jellied sauce, I don’t like. And the canned “whole” berry sauce is always full of stems. Your shop looks like great fun! Thanks Jean! I totally agree…the canned stuff is so strange! bombdiggity for sure! Love this recipe and snagging it for next thursday! Congrats! I too love homemade cranberry sauce. I’m trying your recipe this year. It looks so easy! It’s wicked easy. I don’t know why anyone eats canned now that I know how to make it! The new shop is awesome! I agree that cranberry sauce should always be homemade, although I never thought to make it with maple syrup before. Thanks for the easy recipe! Some of the things in your shop bring back memories of Thanksgiving past! This looks delicious, going to add it to the menu this year! I am definitely trying this recipe. I have been searching for a few years to replace the wonderful baked sauce made with lots of brown sugar my family has loved for many, many years. It is delicious and easy but has far too much sugar in it. Oooh baking it sounds like a great idea! I’m new here. Excited for your new shop! Hi Ann and welcome! So glad to have you here! I am loving the shop. I would love to have the vintage white milk glass platter. I can’t wait for the holidays this year! I’m looking forward to my mom’s famous stuffing! Nice items, I really like the WAXED CANVAS LUNCH BAGS. Thanks for this simple recipe. I’ll give it a try. It reminds of the time my Dad visited for Thanksgiving and wanted to make his homemade cranberry sauce. I was cleaning up red splatter for a long time after. (I think he had a run in with my blender.) His secret ingredient was whiskey! Congrats on your new store! Wow! this look fantastic! I may have to try your recipe this Thanksgiving. Ooh, homemade cranberry sauce was such a revelation the first time I tasted it. Much different from the canned. I love that your cranberry sauce is sweetened with maple syrup! Thanks for the opportunity! 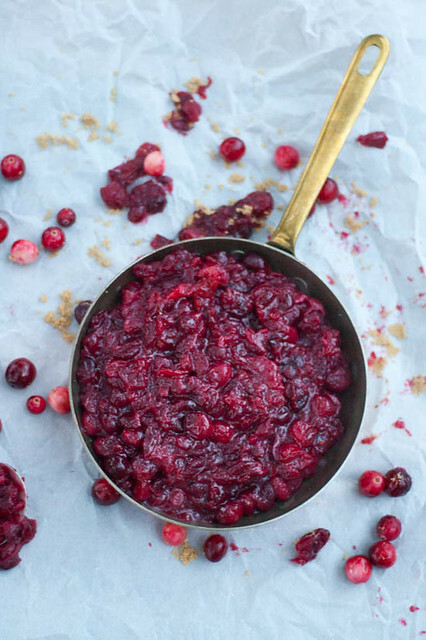 Your cranberry sauce looks amazing! I can’t wait to see your new shop! Thanks for the chance to win, your cranberry sauce looks delightful! I enjoyed your recipe, thanks for the chance with the giveaway! I love homemade cranberry sauce. I can’t wait to try this version with maple syrup! I’ve never made homemade cranberry sauce. I need to try this! 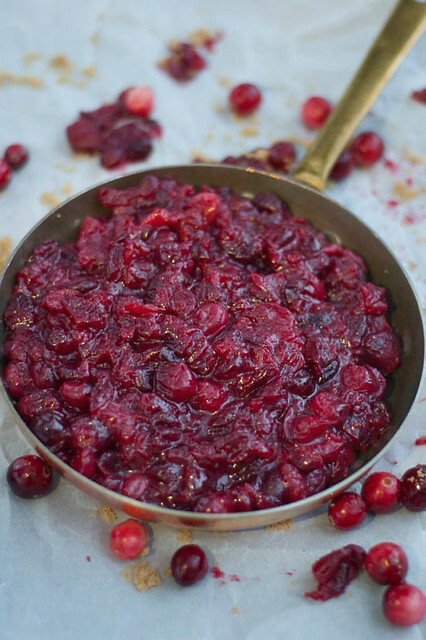 I love making cranberry sauces that have a different element–last year was clementine cranberry! Thanks for sharing your yummy looking receipe and for offering a giveaway. Happy Thanksgiving! Your cranberry sauce looks delicious! Congrats on the new shop and thanks so much for the giveaway! This looks way better than the stuff from the can! 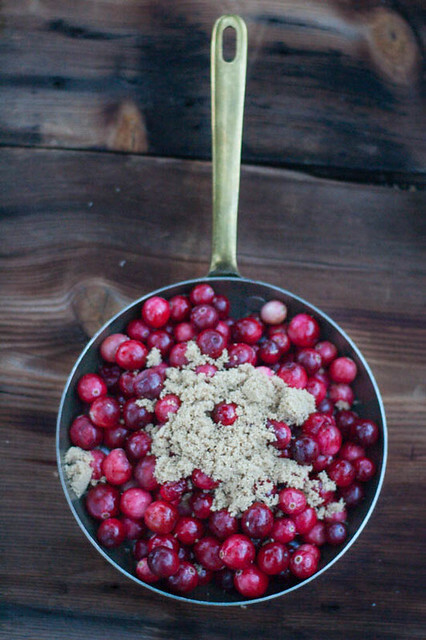 I have yet to make cranberry sauce on my own – this looks fantastic!